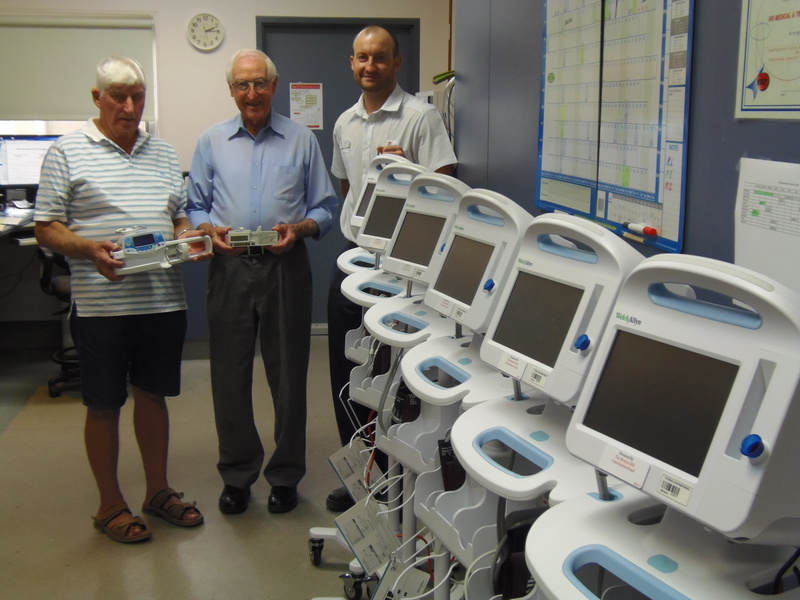 The Broken Hill Hospital’s biomedical technicians have been busy preparing new equipment for use on the wards thanks to a generous donation by the Broken Hill Contribution Fund. 2 x Fresenius TIVA Anaesthetic Syringe Drivers ($3,000 each). Most of the equipment has arrived and is currently in Biomed for acceptance testing and tagging. Kevin Sinclair, BH Contribution Fund Secretary/Public Officer, said the Fund took great pleasure in making its bi-annual donation to the health service. “It’s all equipment that benefits the health service and ultimately the community. The hospital has a wish list of equipment they would like and after prioritising what they would like, we’re more than happy to assist,” he said. The Health Service is greatly appreciative of the BH Contribution Fund and its assistance over the years in purchasing equipment for the hospital. Far West LHD Biomed Technician Ryan Davis is pictured (at right) with BH Contribution Fund Director Kevin Bright (left) and Secretary/Public Officer, Kevin Sinclair with some of the new equipment he has been busy preparing for use in the hospital.